NABL Accredited, Full automated, completely barcoded Lab. Free Home Sample collection through highly experienced phlebotomists. 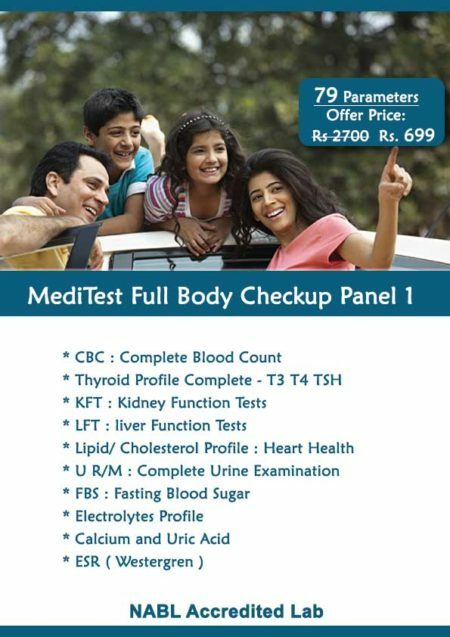 Full body checkup Delhi, noida, ghaziabad : Means to know the detailed status of your internal health. 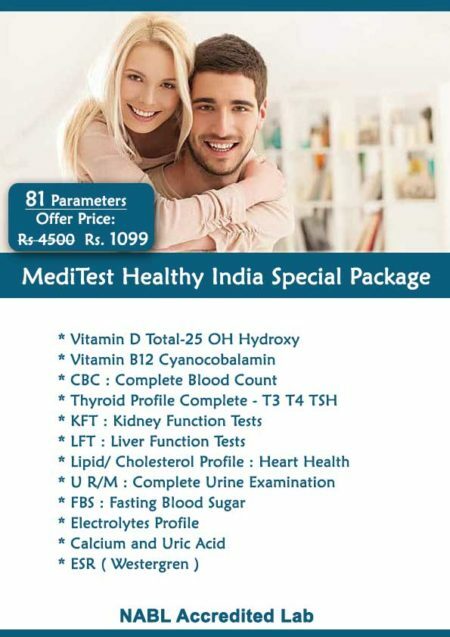 It helps in detecting many types of illness which can be dangerous if goes undetected for longer time.You must book once with MediTest to experience care,quality and accuracy. Follow MediTest.in on Google Plus for latest Offers.